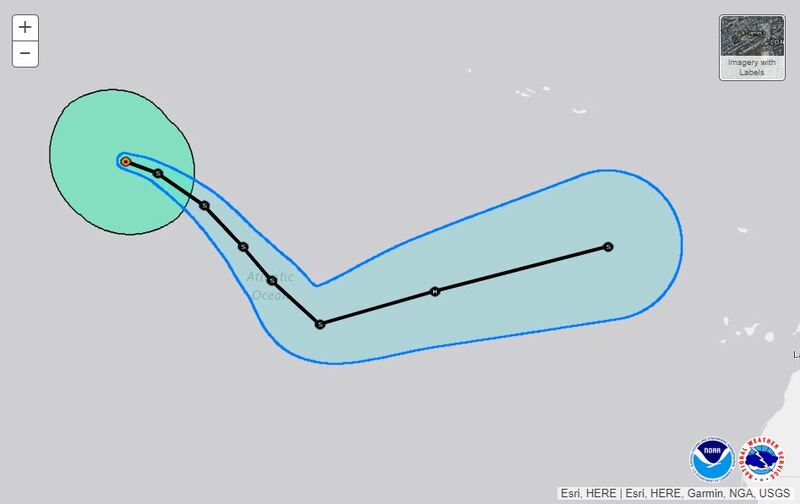 Tropical Storm Leslie predicted to head towards Madeira. 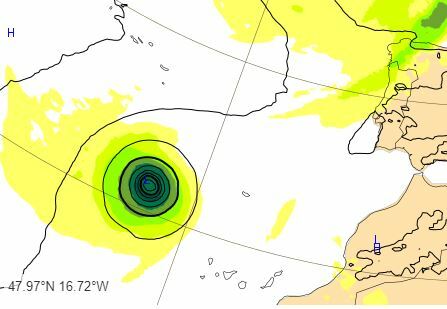 Thanks to blog reader, and expert in all matters nautical, Jaime M, who has sent me lots of info on Tropical Storm Leslie, which is rather alarmingly currently forecast to be heading towards Madeira. Well spotted – Jaime first “commented” here on TS Leslie a week ago. It seems that it has been “hanging around” mid-Atlantic for ages, but now, to quote Accuweather, has “finally shown signs of movement”. According to the National Hurricane Centre the storm had appeared to become weaker recently, “but is expected to intensify”. In another link to Mean sea level pressure and wind speed charts, the poor weather last night and this morning on the island can be clearly seen. The Captaincy of the Port of Funchal has extended the poor visibility at sea warning from this morning to 18.00 this evening. The airport saw six planes diverted this morning, but by lunchtime was returning to normal. LBGTI “exodus” from Madeira. Astronomy more popular. Just checked and it looks like that storm will reach the island after we fly back on Friday.